Shiny Pokemon are alternate forms that all Pokemon have that can be found naturally in the wild, being first introduced so very long ago. 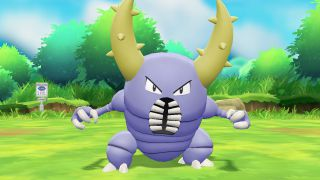 For the first time ever, Shiny Pokemon can now easily be spotted with their alternate colors in the overworld, allowing trainers to know if a Pokemon is Shiny before having to encounter it. Even though Shiny Pokemon are no stronger than regular Pokemon, they are extremely rare to find. Without any external factors, Shiny Pokemon have a base rate of appearance of 1 in 4,096. However, there are a number of things trainers can do to increase these odds. If a trainer were to find and capture every last Pokemon within the Kanto Pokedex, they will obtain the Shiny Charm as a reward. 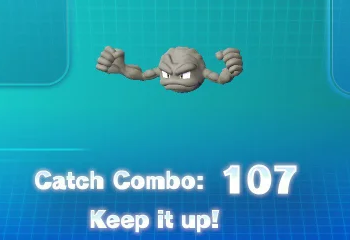 The Shiny Charm makes it three times more likely to find a Shiny Pokemon, increasing the odds from 1 in 4,096 to 1 in 1,365. Players can also use Lures to increase the odds of finding a Shiny Pokemon by two times, improving the odds from 1 in 4,096 to to 2,048. 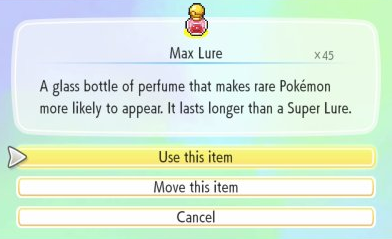 If a player has the Shiny Charm and uses a Lure, the odds increase further to 1 in 1,024. Furthermore, the newest concept of Catch Combos further assists with increasing the odds of finding Shiny Pokemon. By catching more than eleven of the same Pokemon in a row, the odds of finding a Shiny Pokemon of that same species increases to a base rate of 1 in 1,024, 1 in 819.2 with a Lure, 1 in 682.6 with the Shiny Charm, and 1 in 585.14 with both the Shiny Charm and Lure. By catching more than twenty-one of the same Pokemon in a row, the odds of finding a Shiny Pokemon of that same species increases to a base rate of 1 in 512, 1 in 455.1 with a Lure, 1 in 409.6 with the Shiny Charm, and 1 in 372.36 with both the Shiny Charm and Lure. And finally, by catching more than thirty-one of the same Pokemon in a row, the odds of finding a Shiny Pokemon of that same species increases to a base rate of 1 in 314.1, 1 in 315.08 with a Lure, 1 in 292.57 with the Shiny Charm, and 1 in 273.07 with both the Shiny Charm and Lure.